زارعی, فاطمه, آهنی, سمیه, صالحی, اسماعیل. (1396). بررسی محله کودک محور در بافت های سنتی و جدید با تأکید بر عوامل کیفی، نمونه موردی: سنندج. معماری و شهرسازی آرمان شهر, 10(21), 323-336. فاطمه زارعی; سمیه آهنی; اسماعیل صالحی. "بررسی محله کودک محور در بافت های سنتی و جدید با تأکید بر عوامل کیفی، نمونه موردی: سنندج". معماری و شهرسازی آرمان شهر, 10, 21, 1396, 323-336. زارعی, فاطمه, آهنی, سمیه, صالحی, اسماعیل. (1396). 'بررسی محله کودک محور در بافت های سنتی و جدید با تأکید بر عوامل کیفی، نمونه موردی: سنندج', معماری و شهرسازی آرمان شهر, 10(21), pp. 323-336. زارعی, فاطمه, آهنی, سمیه, صالحی, اسماعیل. بررسی محله کودک محور در بافت های سنتی و جدید با تأکید بر عوامل کیفی، نمونه موردی: سنندج. معماری و شهرسازی آرمان شهر, 1396; 10(21): 323-336. 1کارشناسی ارشد برنامه ریزی شهری، دانشکده معماری و شهرسازی، دانشگاه آزاد اسلامی، واحد قزوین، عضو باشگاه پژوهشگران جوان و نخبگان، قزوین، ایران. 2کارشناسی ارشد برنامه ریزی شهری و منطقه ای، دانشکده معماری و شهرسازی، دانشگاه بین المللی امام خمینی، قزوین، ایران. 3استادیار گروه برنامه ریزی و مدیریت محی طزیست، دانشکده محیط زیست، دانشگاه تهران، تهران، ایران. محله ب هعنوان یک سلول زنده شهری مطرح است در شهرسازی باید به کودک مانند سایر ساکنان شهر به دیدگاه ویژه ای نگریسته شود. هدف از این پژوهش، تبیین کیفیت محیط شهری مطلوب تر در محله های ارگانیک و برنامه ریزی شده ضمن تطبیق با اصول محله کودک محور است. مبانی نظری تحقیق برگرفته از نظریات اندیشمندان مختلف در حوزه های مختلف شهری، منطقه ای، علوم اجتماعی و علوم اقتصادی می باشد. جهت سهولت در کار، مدل ارزیابی پژوهش در پنج مبحث ملاحظات کالبدی، اجتماعی، روانشناسی، اقتصادی و مدیریتی به صورت سلسله مراتبی ایجاد شده است. نوع پژوهش کاربردی است و روش تحقیق، تحلیلی- توصیفی است و به منظور ارزیابی نهایی و تحلیل داده ها از نرم افزار SPSS بهره گرفته شده است. شیوه جمع آوری اطلاعات به صورت میدانی، تکمیل پرسش نامه است. نتایج حاصل از پژوهش نشان دهنده کیفیت مطلوب فضا در محله خانقاه (بافت برنامه ریزی شده) با امتیاز 3/11 نسبت به محله قلعه چهارلان است. نتایج آزمون فریدمن حاکی از آن است که هم در بافت برنامه ریزی شده و هم در بافت ارگانیک بین معیارهای مختلف اختلاف معنی داری وجود دارد (سطوح معنی داری کمتر از 0/05 است). همچنین نتایج آزمون t مستقل نشان می دهد که در بافت برنامه ریزی شده معیار اقتصادی با امتیاز (3/38) و در بافت ارگانیک معیار اجتماعی با امتیاز (3/49) نسبت به سایر معیارها در اولویت می باشد. درنهایت مدلی پیشنهادی جهت طراحی و برنامه ریزی مناسب فضای شهری باهدف ارتقاء کیفیت محله کودک محور طراحی شده است. Aqa Latifi, A. (2011). Appropriate Environment for Children’s Creativity, Collection of Articles of the National Conference on Creativity, Tehran, Iran. Bacon, E. (2012). Design of Cities, (F. Taheri, Trans.). 3rd Ed., Tehran, Shahidi Publishing. Bahrain, H. (1995). Health Cities Project, World Health Organization and Its Serious Implementation in the Islamic Republic of Iran. Journal of Management System, Tehran, Iran. Bahraminejad, D. (2003). Recognition and Assessment of the Quality of Urban Environment in Mid-city Texture, Case Study: The Mid-city Texture of Shiraz (Part of the Range Formed in the Years 1300-1320)”, Master’s Thesis, Shiraz University. Barnett, B., Blignault, I., Holmes, S., Payne, A., & Parker, G. (1987). Quality of Attachment in a Sample of 1-Year Old Australian Children. Journal of the American Academy of Child & Adolescent Psychiatry, 26(3). Christopher, A. (2007). Architecture and the Secret of Immortality (The Time of Construction). 2nd Ed. (M. Ghayyomi Bidhendi, Trans.). Shahid Beheshti University, Tehran, Iran. (Original publication 1979). Churchman, A. (1999). Disentangling the Concept of Density. CPL Bibliography, 13(4). Clark, A. (2011). Breaking Methodological Boundaries? Exploring Visual, Participatory Methods with Adults and Young Children. European Early Childhood Education Research Journal, 19(3). Driskel, D. (2008). Creating Better Cities with Children and Youth, (M Tavakkoli & Saeedi Rezvani, N., Trans.). Tehran, Fahim Publication. Driskell, D. (2002). Creating Better Cities with Children and Youth: A Manual for Participation. Children, Youth and Environments, 13(1). Gleeson, B. & Sipe, N. (2006). Creating Child Friendly Cities: Reinstating Kids in the City. Routledge. Golkar, K. (2000). The Constituent Components of Urban Design Quality, Soffeh, 11(32). Hafez Nia, M. (2003). An Introduction to the Research Method in human Sciences, 8th Ed. Samt Publication, Tehran, Iran. Holt, N. L., Cunningham, C.T., Sehn, Z.L., Spence, J.C., Newton, A.S., & Ball, G.D. (2009). Neighborhood Physical Activity Opportunities for Inner-city Children and Youth. Health & Place, 15(4). Ismailzadeh Kovaki, R. (2011). Analysis and Analysis of Child-centered City Indicators, Case of Ghoochan. Master’s Thesis, Faculty of Geography and Urban Planning, University of Zabol, Iran. Jacobs, J. (2000). The Use of Sidewalks Safety, In the City Readers (R. T. Legates, & F. Stout, Eds. ), London: Rutledge. KamelNia, H. (2009). 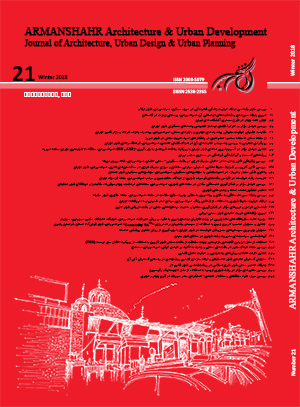 Designing of Green Space in a Child Friendly City, Case Study: Bam, Journal of Baghe nazar, Tehran, Iran. Kyttä, M. (2002). Affordances of Children’s Environments in the Context of Cities, Small Towns, Suburbs and Rural Villages in Finland and Belarus. Journal of Environmental Psychology, 22 (1-2). Lynch, K. (2006). The Image of the City, 7th Ed. (M. Mazini, Trans.). University of Tehran, Iran. Mallon, K. & Has, L. (2002). Australian Youth: Aliens in a Suburban Environment, In Chawla, L. (Ed) Growing up in an Urbanizing Old, London: unesco / Earth scan. Mumford, L. (1976). Technique Paradise, in: The Urbanization of European Society in the Nineteenth Century (a. Lees Eds. ), ROGERS univ. common and Pennsylvania Univ., d.c Health and company, Massachusetts. Pakzad, J. (2009).Theoretical Foundations and Urban Design Process. 3rd Ed. Ministry of Housing and Urban Development, Deputy of Urban and Architectural Council. Percy-Smith, B. & Thomas, N. (Eds). (2009). A Handbook of Children and Young People’s Participation: Perspectives From Theory and Practice. Routledge. Sarmad, Z. & Hejazi, A. (2002). Research Methods in Behavioral Sciences, Aghah Publication, Tehran, Iran. Shie, I. (2006). Preparing the City for Children, Case Study of Tehran, Shahr Publication, Tehran, Iran. Shuai, F. (1996). Imaginations and Realities, (S.H. Habibi, Trans.). Tehran, University of Tehran, Iran. Thomas, C., Mitchell, P., ‌O’Rourke, P. & Wainwright, C. (2006). Quality-of-Life in Children and Adolescents with Cystic Fibrosis Managed in both Regional Outreach and Cystic Fibrosis Center Settings in Queensland. The Journal of Pediatrics, 148(4). Tranter, P. & Whitelegg, J. (1994). Children’s Travel Behaviors in Canberra: Car-dependent Lifestyles in a Low-density City. Journal of Transport Geography, 2(4). UNICEF. Innocenti Research Centre. (2004). Building Child Friendly Cities: A Framework for Action. UNICEF Innocenti Research Centre. Xiang, W. N., Stuber, R. M. & Meng, X. (2011). Meeting Critical Challenges and Striving for Urban Sustainability in China. Landscape and Urban Planning, 100(4).